Should BlackRock ETF dominance worry investors? 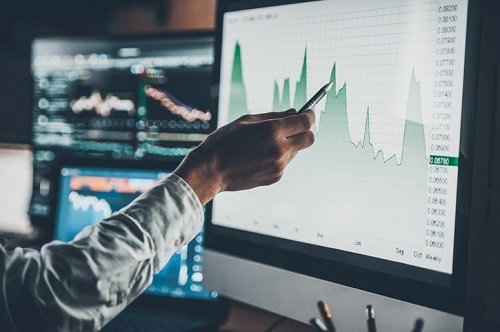 The fact that 44% (US$33.4 billion) of all flows into US-listed ETFs this year went to only four low-cost funds from the same asset manager should not scare investors, according to a leading portfolio manager. Data compiled by Bloomberg revealed that BlackRock Inc’s iShares Core MSCI EAFE ETF (ticker IEFA) topped the charts having taken $13.7 billion since January 1. This fund was followed by iShares Core S&P 500 ETF (IVV) with $12.2 billion, iShares Core MSCI Emerging Markets ETF (IEMG) with $5.1 billion and iShares Core US Aggregate Bond ETF (AGG) with $2.4 billion. Chad Larson, director, senior vice president, portfolio manager at Canaccord Genuity Wealth Management, believes that the global giant occasionally walks a fine line when commenting on its listed companies while simultaneously promoting its passive products – for example, its recent remarks on gun control and firearms firms. The Calgary-based money manager, however, said that low-cost ETFs have not tilted the markets and are a fantastic tool for investors. “[BlackRock] are arguably number one in the world as a provider and steward of capital, they are a corporate citizen of the globe and I respect that,” said Larson, who this week joined Canaccord after more than six years with National Bank Financial. “The flows don’t discourage me or make me nervous. Fund flows are a part of the business. I think you will continue to see more funds flowing into passive strategies or quant strategies and I think there is definitely a [current] flavour to switching more to value than momentum. Dubbed the ‘core wars’, BlockRock currently has the edge over historic inflow rival Vanguard and Larson believes products like the aforementioned top four give his clients amazing access to the markets and actually smooth out volatility. He said: “We use ETFs as part of our core portfolio approach. We believe that for cost, liquidity and taxation they are incredibly useful tools and I think it’s fantastic that we can construct portfolios that augment gaining access to unique styles, managers, indices etc. “It’s necessary to properly diversify portfolios and protect clients because so often if my core competency is Canadian real estate, for example, my clients are going to be very much underserved by not having access to the S&P 500, the Euro Stoxx, the NASDAQ etc, so I am incredibly supportive of the industry in allowing retail clients and institutions low cost access to the market.